Nestled on the north side of historic Victoria Park, The Britannia pub has heralded its roots since 1879. 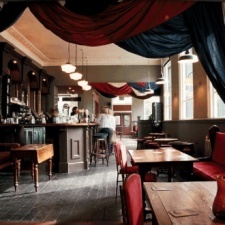 Formerly known as The Queen’s Hotel, the now independent pub offers a laid-back atmosphere accompanied by gastro-style dishes served from their seasonally influenced menu. 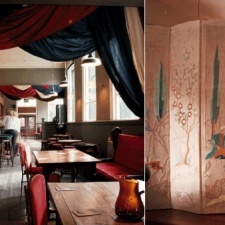 The extensive lawned garden is the perfect location to throw an informal summer party. 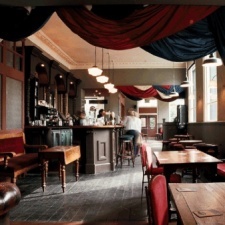 The pub will cater individually to parties of 20 to 300 in their airy function room, public bar and garden. The menu is simple, short but sweet. ‘Britannia’s Infamous Burger’ on their Garden Grill Menu is the perfect hangover cure. Enjoy a variety of beers and lagers on tap or by the bottle. For wine lovers, the carefully selected and regularly updated wine list offers a predominantly European selection.